This new book takes a close look at the narrow, meandering industrial narrow gauge railways in Britain that served industry and hold a certain fascination for many people. 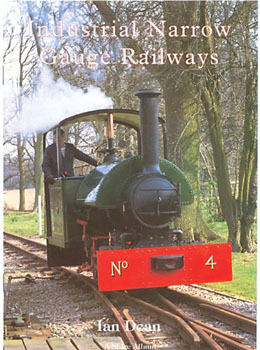 Fully illustrated with detailed black and white photos, it features informative chapters covering: the history of the narrow gauge, motive power, rolling stock, the narrow gauge today, and much more. This great new book is packed with information and is a must for anyone interested in history and railroadania.